Complaints about the school's mascot prompted Marshall to change from the Redskins to the Redhawks a decade ago. The Michigan State Board of Education is trying to pressure schools to drop team mascots and nicknames that are offensive to Native American tribes. 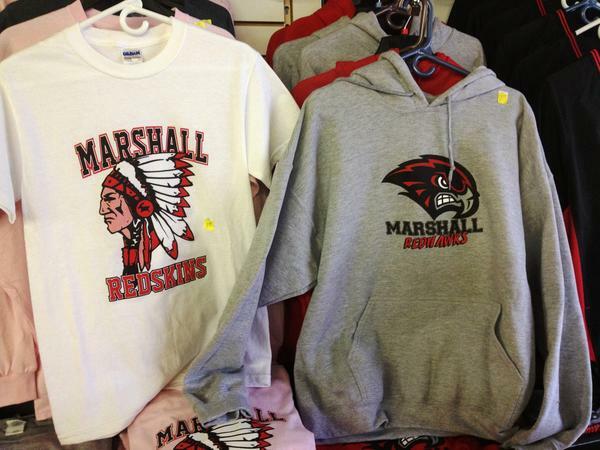 The board is asking the Legislature to adopt budget sanctions on schools that won’t scrap offensive Native American mascots. “We want to make sure that students are able to go to school and to learn and be in environments that are conducive to learning, and so that is why it’s quite important,” said Pam Pugh, a Democratic board member. She says the state board and the Department of Education have already advised districts that the mascots can make schools unwelcoming places for Native American students. “We just felt like we needed to take that up a notch and hopefully provide some more teeth and support,” she said. The state schools superintendent is also looking for ways to take unilateral action. It’s a debate that’s currently playing out in several school districts across the state. The word “fighting” is back on the football stadium at Petoskey High School. 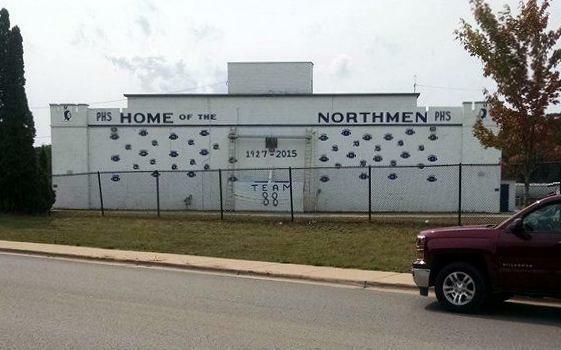 The word was removed from the phrase “Home of the Fighting Northmen” last weekend, spurring a backlash from parents. Brian Kay created a Facebook page in opposition to the name change. A decision to remove the word “fighting” from the football stadium at Petoskey High School has some parents up in arms. 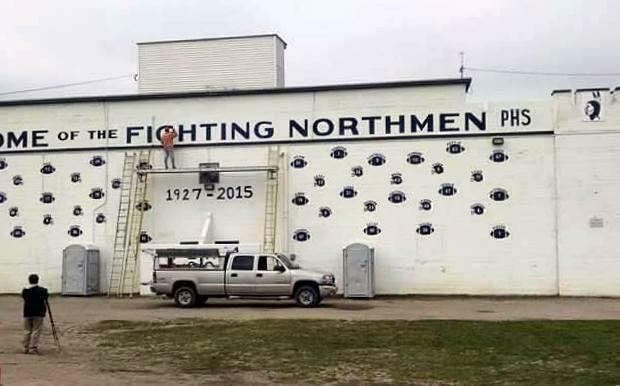 A slogan over Curtis Field used to say “home of the fighting Northmen” but the word “fighting” was painted over this weekend.